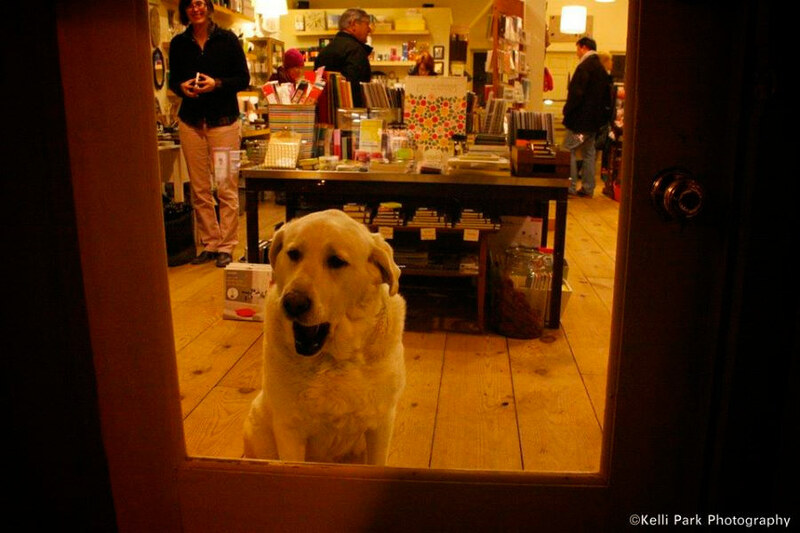 Abby will greet you at the door of this wonderfully stylish (and very cool) shop. On the first day of fall, this charming seaside town was still busy, not bustling like on a mid- summer day, and a lot more relaxed. Called the prettiest village in Maine, Wiscasset is an hour north of Portland. It is here on Wiscasset’s iconic Main Street which flows down to the water, we find an oasis loved by its customers: Rock Paper Scissors. 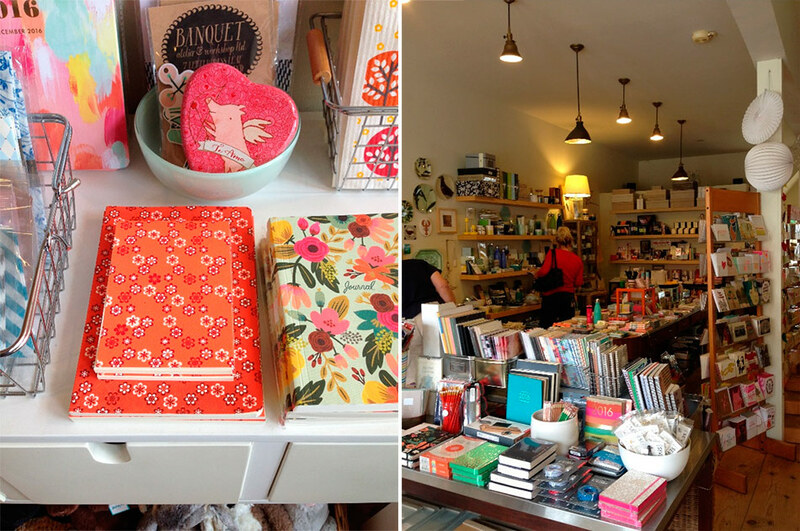 The locally-owned stationer is now in its 15th year. 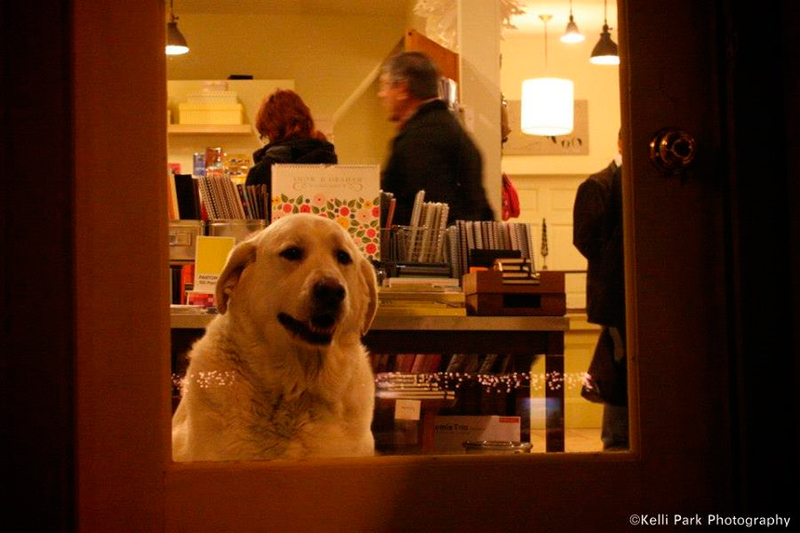 Erika Soule is the founder and proprietor of the shop, along with (of course), Abby, her Labrador/Pyrenees. 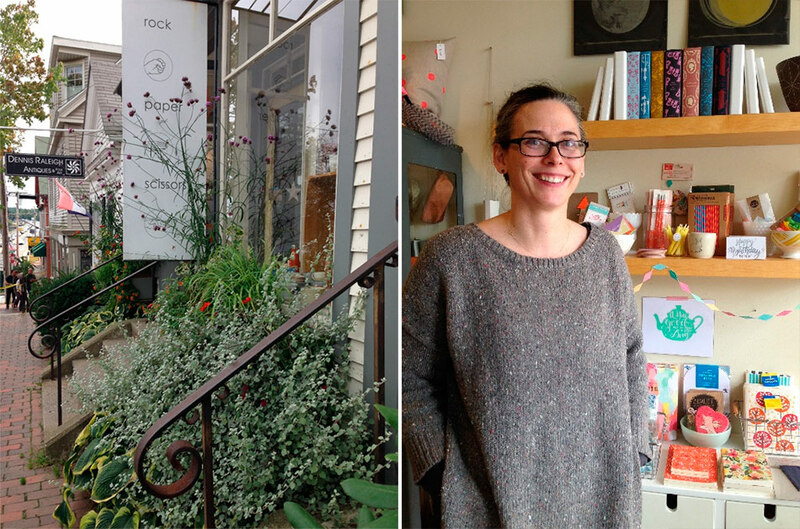 A Wiscasset native, her inspiration for opening the shop was her commitment to making her livelihood in her hometown, her love of paper and art, and being surrounded by things she loves: stationery and writing materials. “Buy what you love,” she says, “and hopefully people will show up.” And yes, they do show up… from near and far. It’s not unusual to have customers from Boston or New York make a pilgrimage to the shop. Not only does she have an incredible sense of design, but she seems to have the knack for finding just the right items to keep people in the store for hours! 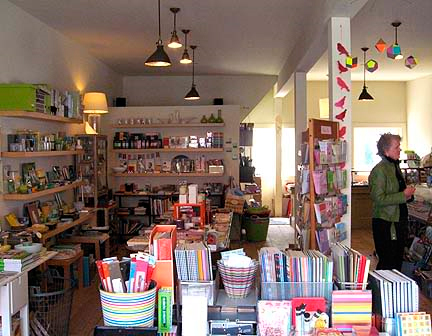 There are little compilations of like items, small pails of pens, paper, notecards, notepads, letterpress stationery, and unusual, eclectic, and sophisticated finds, lots of items organized by color. Crafty things, kid’s toys, organization tools, colored folders… each table, each case is like a small anthology of items which intrigues and must be perused. 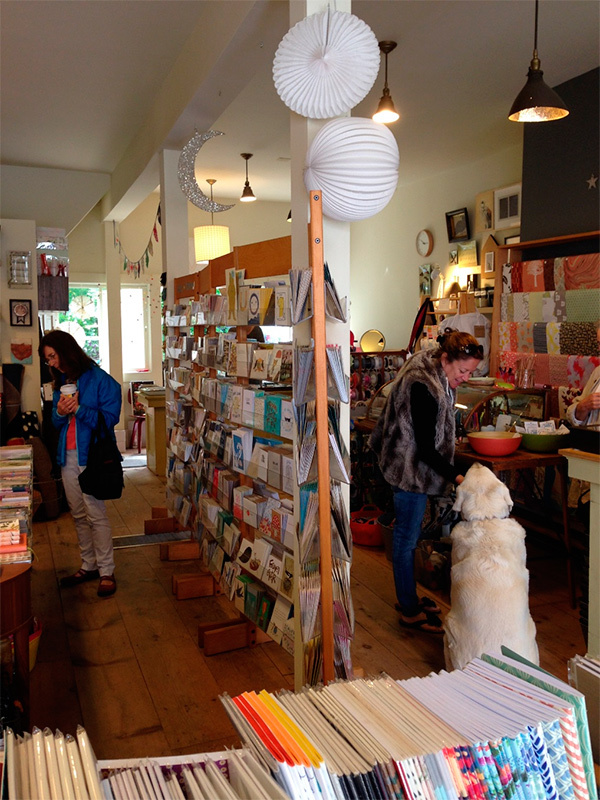 “If you’re ever driving through, or staying in Wiscasset, and don’t take the time to get lost in this fantastic shop of cards, stationery, gifts, and just general awesome miscellany, you’re completely missing out. The collection of products that owner Erika Soule has curated is simply fantastic, and every nook and cranny of the shop is covered with fabulous items. You’ll find everything you didn’t know you needed, and a cooler version of so many things you already have. I challenge you to drop in and not find something you want to leave with.” Review from a fan. “I love the letterpress… the sheets, both the new and traditional.” I went to school for art and did printmaking. Rossi’s letterpress is a great weight for bookbinding. The patterns are wonderful for wrapping and better for lampshades and book covers. Erika is uber- friendly, artsy and soft spoken. She grew up in Wiscasset, went away to school, and in a state like Maine where beauty abounds, but there are not a lot of jobs, she was determined to find a way to go home and make a living. Indeed, it looks like she has succeeded. Everything in this store is exquisitely displayed in small collections that can keep someone browsing for hours. Such fun. Perfection in a store… how often do you find that? !